Who is it who rings them up when theyre on baby-sitting jobs and doesnt speak when they answer the phone! Could it possibly be the Phantom Caller, the jewel thief who has been breaking into homes nearby? What can the girls do? Kindergarten-Grade 2-Series titles with phonics activities. Monster Town Fair has no redeeming qualities. The text makes no sense except as a phonics exercise. 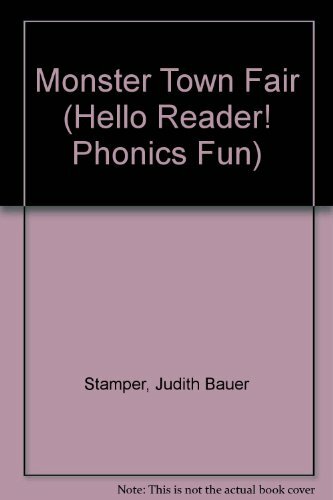 One double-page spread reads, &quot;Today is R day/at the fair./Look for R words/everywhere.&quot; Unattractive, muddy, watercolor artwork shows a bevy of monsters and assorted animals at an amusement park. In some of the illustrations, the colors are so fuzzy that it is difficult to distinguish the objects. The Red Hen is a sloppy retelling of the folktale using as many rhyming words as possible. Hen invites her neighbors, a fox and duck, to help her make lunch, but whenever she asks for their help, they have some excuse. Hen does the work all alone and replies &quot;Sob, Sob, Sob!/I always do the job!&quot; When the hungry fox and duck finally arrive, the hen says &quot;I worked hard to make this yummy./And now it's going in MY tummy!&quot; The watercolor and pen-and-ink illustrations are pleasantly colorful, but better beginning readers abound.<br /><i>Anne Parker, Milton Public Library, MA</i><br />Copyright 1999 Reed Business Information, Inc.